Usually, second books lag behind the first and third of a trilogy, having to do some heavy lifting that takes the shine off the magic. This is not one of those books. Golden Son manages to be every bit as engaging, magical, and just incredible as Red Rising. Much like Red Rising, Golden Son drops us straight into the action without apology. I had to read the first two chapters very carefully to understand what was going on and to convince myself I hadn’t suffered amnesia since reading the first book and that no, I don’t know who any of these other characters are. But by chapter three I had the rhythm back and was hopelessly sucked in. What makes Red Rising different from most trilogy series is its ambition. Usually, our three book structure looks like this: Book 1: presentation of status quo that needs to be upended, presentation of major players, first battle Book 2: preparations for final battle, minor battles, major focus on character development Book 3: major final battle that upends the status quo, wrap up character development. Golden Son is different because we’re provided with another battle that keeps the energy level up. I’m halfway through the final book Morning Star as I write this so I can say that the Red Rising series’ three book structure looks like this: Book 1: presentation of status quo that needs to be upended, presentation of major players, major battle Book 2: status quo upended, major battle, character development Book 3: major battle to decide the fate of the status quo, wrap up character development. In short, the story structure of a typical three book series has been sped up, yet Brown still manages to do a bang-up job in the character development department. The final betrayal, twist, and revelation of Golden Son is quite powerful and not one I saw coming. I just have to say, bravo Pierce Brown. You have written an incredible series. As the story opens, sixteen-year-old Jacob discovers a powerful new ability, and soon he’s diving through history to rescue his peculiar companions from a heavily guarded fortress. Accompanying Jacob on his journey are Emma Bloom, a girl with fire at her fingertips, and Addison MacHenry, a dog with a nose for sniffing out lost children. As I mentioned in my review of Hollow City, I recently went to see the Miss Peregrine’s Home for Peculiar Children movie. While I did like it at the time, finishing Library of Souls has further convinced me that the ending they gave to the movie was just plain silly. With so much amazing material in Library of Souls, we as the fans deserved much better. As in Hollow City, the plot picks up immediately after the end of the previous book and immediately plunges us back into the story. Library of Souls was just fabulous. 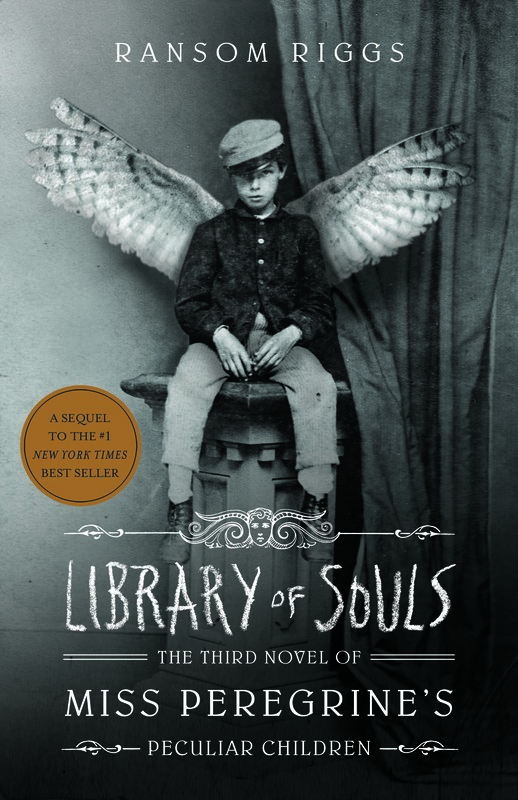 It had all the magic of Miss Peregrine’s Home for Peculiar Children while broadlibrary of souls ransom riggsening the world-building and introducing quite a few new twists to the story. If you stopped reading after the first book in the series, do yourself a favor and pick up Hollow City and Library of Souls. This is one series worth finishing out as its one of the most imaginative and engrossing of any I’ve read in recent years. I’m not even hinting at any spoilers because I think you should just go read it and not take my word for it! I have a weird OCD habit where I have to mark off where halfway is in the book I’m reading. I really don’t know why I’m so compelled. It usually doesn’t create an issue, except in this case where it revealed the fate of a character. And knowing the fate of that character without any context made me suspect all along that they were the one responsible for Megan’s disappearance. And sadly I was right. So most people talk about the big twist in this book, but for me, it wasn’t really a twist because I was already suspecting that. Still, this was a great book. I read so much and so often that it really takes a lot for me to have that craving to finish a book. Because 99% of the time I read every night before bed even if it’s just a few pages. So since I know when I get to read the book next, the intervening time doesn’t bother me so much. But with this one it did. When I got to the middle of the book, I was irritated that I had to go to bed because I had work the next day. And then all day long I couldn’t wait to get home and read the rest of the book. The concept of this thriller was unique in my opinion…Rachel, the narrator, riding the train back and forth to London and observing the people who live in this house. Until one day she sees something bad. Rachel was a character I wanted to reach into the book and shake. An alcoholic and a person who has trouble leaving things alone, I constantly wanted to yell at her for being stupid. But she didn’t bother me all that much. I liked that there were actually three narrators for this novel and all of them were women: Rachel, Megan, and Anna. And the three narratives work together to cast suspicion, remove suspicion, cast suspicion, and ultimately reveal the true suspect at the center of the investigation. I’m planning to see the movie soon. I think Emily Blunt is a good choice for Rachel. Emily is pretty, but in a sort of unconventional way and she has a mournful face that is a good choice to play an alcoholic. I’m not familiar with the other actors and actresses, but am looking forward to seeing how this book was translated to film. The description for this book does nothing to show how FUN this book is! Ready Player One was first recommended to me a few years back. I remember at the time looking up the description and thinking it might be a little above my head in the way Neuromancer by William Gibson was. When I read Neuromancer, I had a hard time conceptualizing what was going on and if I hadn’t had to read it for a class, probably would have given up on it. Same thing with. The Reality Bug by D.J. MacHale. That book was probably my least favorite of the Pendragon series. On the whole, I’m not really into reading about virtual reality. Watching, yes. I liked The Matrix. But reading about it, not so much. 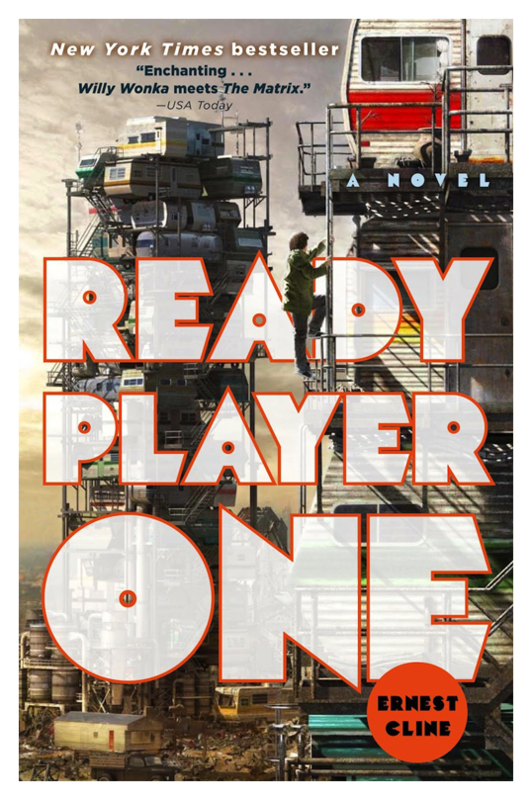 Anyway, I kept hearing things about Ready Player One over the years, but it wasn’t until I saw a copy while browsing the airport bookstore after a delay threatened to eat into all of my available reading material that I finally got a copy. I was born in 1990 and have never really been into the whole 80’s culture. I’ve seen a few of the iconic movies, but not many. Know some music, but not much. Have seen a few of the older video games, but have played hardly any (and that goes for more current games as well). But I still found this book to be a great ride. It’s fun, it’s imaginative, it’s fast-paced, it’s clever, and it’s a must read! It’s been a while since I’ve read a book that was just a joy to read! I really enjoyed this one and I imagine if you’re really into 80’s culture, remember living through the 80’s, love video games, games in general, and/or all things nerdy you will love this even more than I did! And there’s a movie coming out in the near future directed by Steven Spielberg! The Twelve have been destroyed and the terrifying hundred-year reign of darkness that descended upon the world has ended. The survivors are stepping outside their walls, determined to build society anew—and daring to dream of a hopeful future. Along with The Last Star, this was one of my most anticipated series endings of this year. I got both of these books around mid-June, but it took me much longer to finish The City of Mirrors. A few reasons for that, I think. First, I’d never really realized how dense these books are until I sat down to read The City of Mirrors. A lot happens in the text and very little of it is fluff to be glossed over. The book is 600 pages, but I’m sure they squeezed in another 100-200 pages worth of words. Second, while the book was never calling to me to hurry up and get back to reading it, whenever I did get back to it, I’d read for hours. Which is a problem because I read before bed most often. All in all, this was a terrific series closer. A writer with an MFA from the Iowa Writers Workshop writing a vampire apocalypse trilogy sounds ridiculous on the face of it, but the result is just incredible. I would recommend doing a re-read of the first two books before tackling this one. This is one of my all-time favorite series and I regret not doing that myself because I think I would have gotten even more enjoyment out of The City of Mirrors. But I’ll definitely be rereading the series at some point in the future! I was so excited to read the conclusion to The 5th Wave series! This has been a great series, one full of action, deep questions, and wonderful writing. I enjoyed the end to the series, even if it was a bit sad. I didn’t cry this time though. I suppose I’ve been ready for it since the beginning. I was home sick so I read this book in a day and what a great day that was! Dr. Rob Elwood, a respected geologist, has studied the Cascadia Subduction Zone, a dangerous fault off the coast of the Pacific Northwest, for years. Now he’s having repeated nightmares of a massive earthquake and tsunami striking the region. Knowing he’s placing his reputation and career at risk, he goes public with his premonitions. The quake fails to occur and Rob fears he’s lost everything. But the disaster does strike, just not when expected, and Rob finds himself not only vindicated, but hurled abruptly into a life-and-death rescue mission with his private aircraft. Rob’s story intersects with several others, including that of a retired fighter pilot attempting to make amends to a woman he jilted twenty-five years earlier, and another of an elderly black man searching for legendary buried treasure along the rugged Oregon coast. I’m a huge fan of action movies. Even if someone tells me it’s a bad movie, I’ll still go watch it because, as long as things are blowing up, how can it really be a bad movie? I’m not expecting an Oscar-winning film. Just to see special effects and things set on fire. The beginning of Cascadia was a bit heavy-handed with the explanation of earthquakes and how they work, etc, though I definitely walked away knowing more about earthquakes than I did before. I also wish more time had been spent introducing the main characters before the earthquake hit. But like I said, I’m not expecting Pultizer prize-winning writing. I just want to be entertained. And I was! This book is very exciting and is everything you could want in a disaster movie, er, book. Widespread devastation, high stakes, narrow escapes, ordinary people turned heroes, it’s all here. Jonathan and Zurry were by far my favorite characters. I love a good treasure hunt story and the fact that this was a sub-plot in a disaster story made it even better. The only part I really couldn’t get my head around was the plotline with Cassie. It seemed very out-of-place and didn’t do much for the story. Overall, a very enjoyable read that would be great for summer!